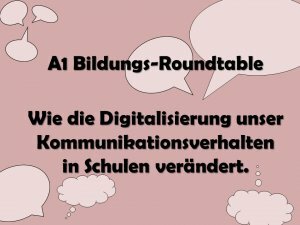 Im Rahmen des gestrigen zweiten Tages des Symposiums FUTURE LEARNING?! 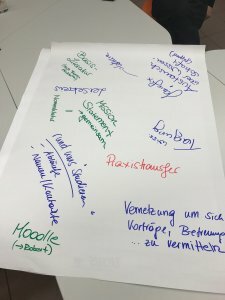 hat ein erstes, sehr erfolgreiches und gewinnbringendes Treffen zur Vernetzung all jener Personen stattgefunden, die sich in irgendeiner Form (bspw. im Rahmen einer Qualifizierungsarbeit) aus wissenschaftlich-forschender Perspektive medienpädagogischen Fragen widmen. D.h. das Alter der beteiligten Personen, spielt bei der Vernetzung „junger“ Medienpädagog*innen keine große Rolle. The second day of the international Symposium on the Future of Learning at the University College of Teacher Education Vienna (PH Wien) on October 17, 2017 from 9:00 am to 8:00 pm offered participants a number of workshops on various topics. After the morning sessions of the workshops the official opening of the Future Learning Lab Vienna (FLL) took place (picture gallery). 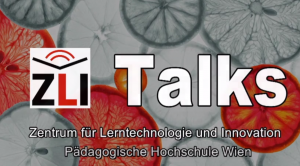 The FLL represents a project cooperation between the Centre for Educational Technology and Innovation (ZLI) at PH Wien and their partner, the Association for the Promotion of Digital Educational Services (Verein zur Förderung digitaler Bildungsangebote). 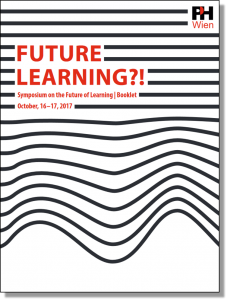 The first day of the international Symposium on the Future of Learning took place at the University College of Teacher Education Vienna (PH Wien) on October 16, 2017, from 12:30 to 6:00 pm. 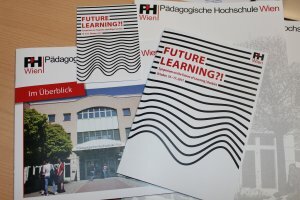 The symposium was organized by the Centre for Educational Technology and Innovation (ZLI) at PH Wien in cooperation with their partner of the Future Learning Lab (FLL) Vienna, the Association for the Promotion of Digital Educational Services (Verein zur Förderung digitaler Bildungsangebote). Our Symposium Booklet is now available online. Take a look inside for all the programme details! Pattern languages have recently been paid attention to as new tools for learning and creativity. A pattern language is a set of patterns that describe practical knowledge in a target domain, where practical knowledge refers to both the ability to notice problems as well as to solve them. In creating a pattern language, it is necessary to go through a “mining” process in the beginning, to gather contents of what would eventually be written out as patterns. Pattern mining is a process to extract the knowledge of practice (rules of thumb and tips) from experiences and cases. Such information is gathered through mining dialogues (self-reflections or interviews), after which they are clustered based on similarity, in order to find out the common points from the extracted knowledge and organize them. In this workshop, we provide an opportunity for participants to get an overview of how to create pattern languages, focusing on how to mine patterns from personal experiences and experiences from others. In this workshop participants get to both try to play and design games that illustrates different real systems. The workshop is appropriate for educators of all levels from primary school to higher education. 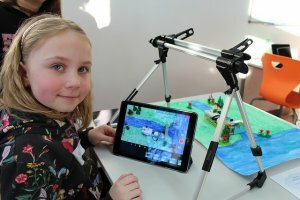 The Lego Education Innovation Studio (EIS) is based on a hands-on learning approach that actively involves pupils in their own learning processes and is aimed at developing their creative thinking and practical problem solving skills through coding and robotics. In context of the nationwide project “Learn how to think and solve problems“ (DLPL) Austrian school classes are supported by experts with resources and educational material in the implementation of various projects. 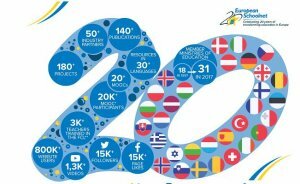 In a special workshop participants can get an insight into educational concepts, the possibilities offered by the EIS and successful school projects like MadeByKids (in cooperation with DaVinciLab). At various stations a whole range of products can be tried out: Lego WeDo and EV3, BeeBot & Co, Scratch, Ozobot, Microbit, Minecraft. The Future Learning Lab follows the educational and pedagogical concept of the EUN’s Future Classroom Lab. This new space will offer a well-equipped environment for learning. According the Learning Zones of the FCL, workshops in the three different FLL areas of Investigation, Creation and Presentation will be taking place.